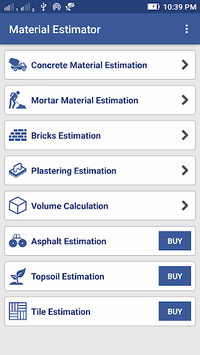 - An application made for estimation of material in day-to-day construction work. - Supports custom as well as all major grades(M15, M20, M25 etc). 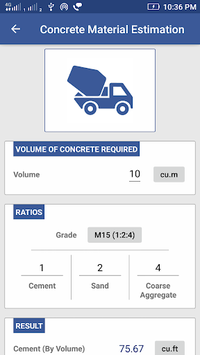 - Volume Calculation which makes the calculation very user friendly as compared to standard calculator. 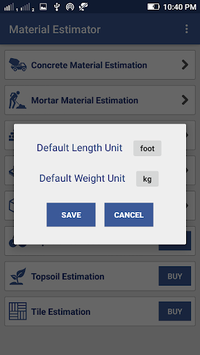 - Supports functionality to work in major measurement units(cu.m, cu.ft, yards etc).